The forecast for Sunday and Monday couldn’t have been more different. Strong westerly winds on Sunday followed by light and variable winds on Monday. 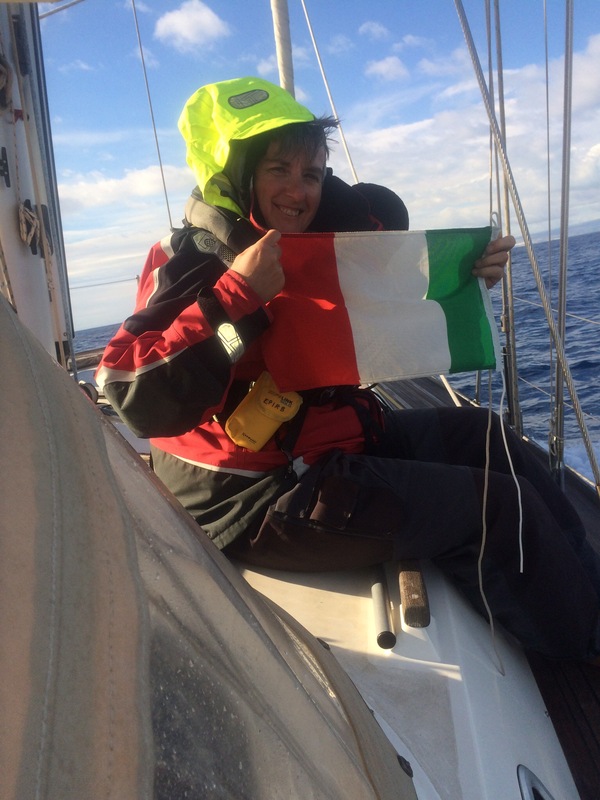 We still had a bit to do on Nimmie so decided to set sail early on Monday towards Sicily. Of course, having washed several months of sandy rain off the boat on Sunday, it rained over night with sand in it! Still, she was cleaner than before. Monday morning arrived and it was raining heavily so we delayed our departure until it eased which meant a 0930 departure time rather than the planned 0800. It’s 45-55nm to southern Sicily from Valletta so around 10 hours. Once out of the harbour, it was clear that we needed to reef as it was blowing well over 25 knots and from the east – not forecast! 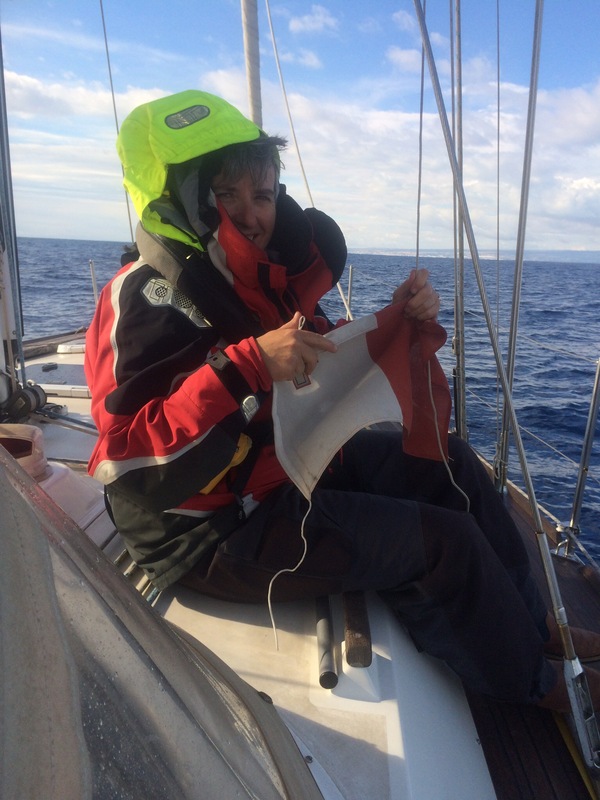 Once we had reefed, we were racing along although the sea state wasn’t great so was a bit rolly to say the least. We had great wind for over 4 hours before the wind came round to the north and started to die. We had already decided to make for Ragusa because of the wind angle but that was 10nm further than our original destination, Pozzallo. The other reason was because we would be anchored there and the swell would be coming straight into the anchorage – not a pleasant night’s sleep to look forward to. We finally resorted to the iron donkey (aka engine) when our ground speed dropped below 5 knots and our eta was after dark. The sea state had calmed down some so not unpleasant by about 1530. The channel between Sicily and Malta is very busy with container ships and oil tankers so a sharp look out was required, especially as our AIS that identifies ships stopped working! Visibility was good so not a problem. We arrived in Ragusa at just after 7pm to be welcomed by a very nice chap who guided us to a very protected berth and took our lines. By this point, we were both knackered so having washed the boat down (she was covered in salt), we sat down to a lovely meal Liz had prepared early in the slow cooker, opened a bottle of wine and were in bed by 10.30! Pictures below of the crossing into Italian territorial waters. As you can see, not exactly tee shirt and shorts weather! This entry was posted in News and tagged 2015, Italy, Malta, Med, Sicily. Bookmark the permalink. Glad you are having a good time. Are you going back to Malta? Yes for the rest of the year. Just a two week holiday this time.